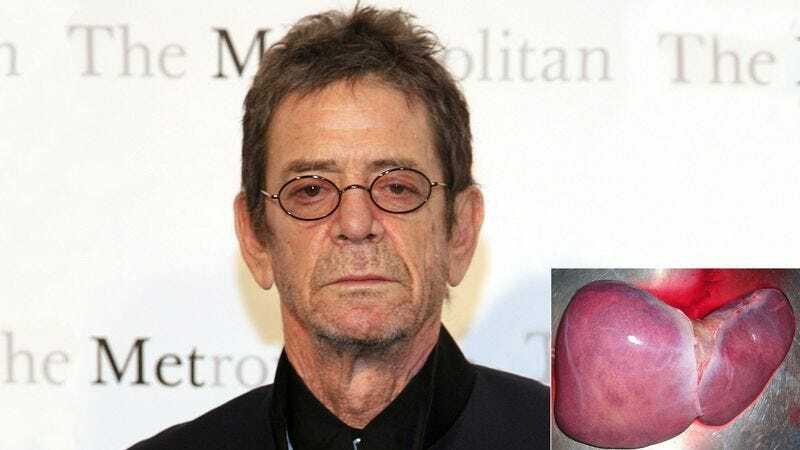 NEW YORK—Just weeks after being transplanted into Lou Reed’s abdomen, a 3.5-pound donor liver voiced complaints to reporters Monday about the difficulty of working with the “temperamental” rock legend. “It’s really hard to get along with Lou—one minute he’s your best friend and the next he’s outright abusive,” said the vital organ, describing its ongoing collaboration with the former Velvet Underground frontman as “strained at best.” “He just has this way of making you feel completely inadequate. I can tell he doesn’t respect me at all. In fact, I’m pretty sure he’s already thinking about replacing me.” The liver admitted it was considering ending its detoxification sessions with the 71-year-old recording artist and just letting him synthesize proteins and digestive biochemicals on his own.